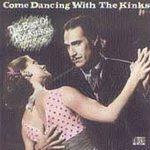 Come Dancing With The Kinks: The Best Of The Kinks THIS CD IS FROM THE JUKEBOX COMPANY WE USE TO OWN THIS CD WAS PLAYED ON A JUKEBOX AND IS IN GOOD COND IT'S SHIPPED IN A SLIMLINE JEWEL CASE WITH FRONT ARTWORK ,OTHER THEN THE WAY WE STORE THEM TO SAVE SPACE THIS IS THE SAME CD YOU WOULD BUY AT THE RECORD STORE. Artist: Kinks (The) Release Date: 2000 Format: CD Record Label: Arista Genre: Rock Pop UPC: 634677973321 Sub-Genre: Rock Pop Track listing 1. Come Dancing 2. Low Budget 3. Catch Me Now I'm Falling 4. Gallon Of Gas, A 5. Superman, (Wish I Could Fly Like) - (Disco edit) 6. Sleepwalker 7. Full Moon 8. Misfits 9. Rock N' Roll Fantasy, A 10. Do It Again 11. Better Things 12. Lola - (live) 13. You Really Got Me - (live) 14. Good Day 15. Living On A Thin Line 16. Destroyer 17. Don't Forget To Dance 18. Father Christmas Details Playing time: 77 min. Producer: Ray Davies Distributor: Koch Recording type: Mixed Recording mode: Stereo SPAR Code: AAD Album notes The Kinks: Ray Davies (vocals, guitar, keyboards); Dave Davies (vocals, guitar); Nick Newell (saxophone, keyboards); John Gosling, Ian Gibbons (keyboards); John Dalton, Andy Pyle, Ron Lawrence, Jim Rodford (bass); Nick Trevisik, Mick Avory, Henrit (drums). Includes liner notes by Peter Doggett. Portions of this page Copyright 1948 - 2006 Muze Inc. All rights reserved.